April 16, 2019 – Learn about environmental best management practices for your marina by completing this first step to become a certified Clean Marina! Learn about important environmental best management practices, how to become a certified Ohio Clean Marina, and benefits of the Program. All marinas are invited to attend – whether currently certified, pledged, or new to the program. In 2018, we launched tiered certification levels. 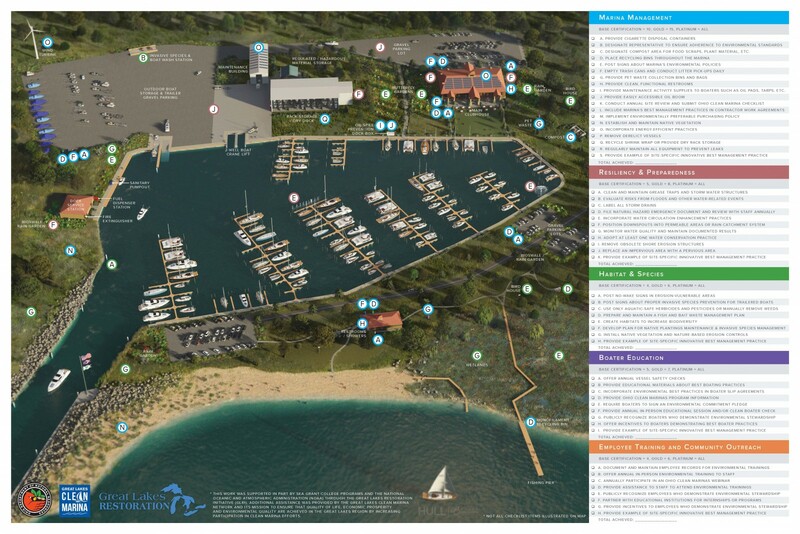 Be one of the first to become a gold or platinum certified Ohio Clean Marina! Staff will review all levels of certification so you can find the one that fits your facility best. Please register for the event via the button in the sidebar.